Wouldn't it be nice if one of your hobbies -- an activity you purely enjoy -- could make you money instead of costing you money? If you've been asking that question, you are not alone. In fact, many people are making money from their hobbies. So how can you join them? Most hobbies cost money. You work 40 hours a week, then spend some of that money on a hobby on the weekend. Wouldn't it be nice if one of your hobbies -- an activity you purely enjoy -- could make you money instead of costing you money? If you've been asking that question, you are not alone. In fact, many people are making money from their hobbies. Some people, even turn their hobbies into a full-time career, replacing the "desk job" or "clock punching" at the plant. 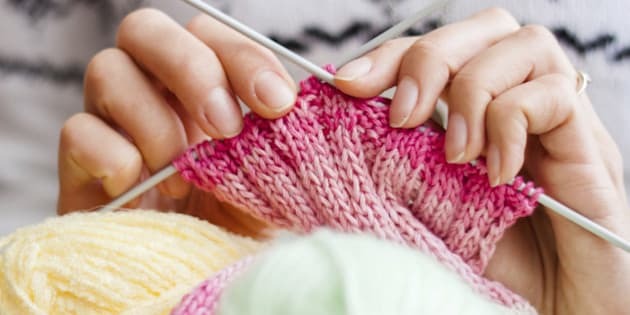 Could your hobby become a full-time career? In the Internet age, there are more ways than ever before to turn a hobby into a career. You can create with your skills, whether your hobby is woodworking or gardening or cooking or singing. By this, I mean that you can get people to pay for what you create. You can do this locally in your community, or you can sell your goods over the Internet. Except gardening. Don't try gardening over the Internet. Or you can train people to do what you do, which can be just as much fun if you don't mind talking about your hobby. Yes, you read that right. Instead of having to chase people down to listen to you talk about your hobby, you can get them to pay you to talk about your hobby. Doesn't that make Earth just the coolest planet? Or you could offer your consulting services at an hourly rate. More getting paid to talk about your hobby! Training can also be done long distance, over the Internet. Think Webinars. Think Skype. Think podcasts, such as Khalief Adams did with his gaming hobby. Today's technology is almost limitless. Training can also generate passive income. You can set up a course through Udemy, for instance. Or create how-to or explainer videos on YouTube, as my nephew is doing with some of the games he likes. Or sell e-books or even real paper books. Or you could sell supplies. This might not be as much fun, but if you can make money from the knowledge your hobby brings, that's more fun than your day job driving a truck. "Families seek my help with business and finance so that they can focus on their passions, "says Mark Rotstein, a Toronto based consultant who followed his own passion for dealing with positive people. "The people I help all have a few things in common. They know what they want from life. They are prepared to go after it. And they are not afraid to call for help to make it happen. They all follow their passion." So the short answer to, "Could you?" is "Yes!" As usual, the long answer is a bit more complicated. Not every hobby is created equal. The first thing you need to know is that not every hobby works. Why not? Because to make money, you need an audience. And not every hobby has an audience. For instance, if your hobby is stamp collecting, good luck! That tiny audience is already over-served. If your hobby is training Tazmanian devils, your audience might be only yourself. So find your niche -- people interested in what you're doing. This is easy if your hobby is cooking. Everybody eats. So all you have to do is find an angle that makes you different. You might focus on cheesecakes for your blog, podcast, videos or training sessions. You'll need to check out the competition to see how tough it will be, and maybe refine your niche even further. Next, you'll need to create a brand for yourself. Your personal brand is your visual identity, your voice, your tone, and the overall experience people get when they meet you or visit your website. Your brand needs to be authentic. It has to show the real you. But all communication is more about the audience than about the speaker or the writer, so which real you will you show? What tone does your audience want to hear? What type of vocabulary should you use? What should your approach be? Look at the competition to find ways to differentiate yourself -- what angles has nobody has tried? As soon as possible, get a custom design. You don't need a fancy design, but it needs to reflect your brand. And if your hobby is something highly visual, as Cendrine Marrouat's, it had better showcase your visuals well. Check out competitor websites, and make sure yours is just as good -- and easy to distinguish. Now you are ready to monetize. You should have thought of this aspect before starting. How do you plan to make money? If you're selling a tangible good, this is relatively straightforward. Otherwise, you might start by placing ads on your website. Or you might start right off selling an online course or an e-book. I would definitely make it clear that I am open for one-on-one consulting. Don't forget to invoice your clients, as 22% of all businesses forget to invoice. Believe it or not, this happens all the time. It's happened to me with my writing clients more than once. Create the best quality product and content possible. Then make it even better. Do your research. Make sure that your product and content are what your audience wants. Build your social media presence. Market, market, market. Keep having fun, keep enjoying. People are drawn to those who enjoy what they do, using positive language. Show up where your audience is, commenting on related blogs, following related people on Twitter and participating in related forums. You might build a multinational from your hobby. Or it might bring in just a few hundred dollars a month. But most hobbies cost a few hundred dollars a month. If yours can make money instead of costing money, and you still enjoy what you do, you're already a winner.